Growing up in Lagos with a mother who was very much on top of her children's academics and who believed she could do it herself, I never stood the chance of going to a tuition centre. Back then in Lagos, the term ‘going to lessons’ was what we used for extra tuition. Rather than allow us go to lessons, she chose to be our private tutor. I must give credit to her though, she certainly knew what she was doing. Her efforts were divinely blessed and we’ve all done well. That notwithstanding, I resented her stance at the time as I felt that I was missing out. Almost everyone I knew went for lessons or had a lessons tutor. To be clear, my displeasure was not driven by a desire for better grades, rather it stemmed from my frustration at not having the chance to be part of the in-crowd. I was particularly interested because that was where the coolest kids were and I wanted to belong. Poor me - I felt at the time - I was always at home, having private lessons with my mum and sisters. I still vividly remember the sheer joy I felt when I eventually had a breakthrough... I was allowed to attend a summer holiday tuition centre at the end of my 4th year in secondary school! For the sake of time, I'll leave the details of the pleading, begging and cajoling that went into it for another day. Roll forward to the nineties and noughties and I had become a mother living in London… Isn’t it ironic how we tend to play out the same behaviours we didn’t particularly like in our parents? Being a DIY mum too I initially resisted any form of extra or private tuition. Over time however, my curiosity and inquisitiveness exposed me to the potential benefits. The awareness made me open to extra tuition and as such when it was time for our sons to sit the 11plus exams, we enrolled them for extra tuition. Thankfully, the investment paid off; as a result we didn't just stop there, over the course of their GCSE years, we engaged the services of a private tutor as and when necessary. I am now not just convinced, I am an advocate and have even gone on to outline 10 Benefits of Using a Tutor in one of my blogs. I am not alone in this, statistics show this form of education to be a growth area. The number of pupils in England and Wales receiving extra or home tuition increased from 18% to 27% in the period from 2005 to 2018. And as shown below, the numbers are on the increase in London too. Given that there are so many private tutors and tuition centres out there, how do you know what to look for? To help answer this question, I conducted a survey of a number of parents a few months ago, added it to my own experience and got the rich bank of answers listed in the next few paragraphs. The respondents to my survey all currently employ the services of a private tutor or a tuition centre and were generous in furnishing me with what works well. The top 20 behaviours the parents found useful are listed below, I have grouped these under logical headings. Available to discuss my child's progress and next steps. Offers my son one-to-one feedback in the areas he is struggling with. Always checks the homework that has been set; this motivates my son to do it. Builds and boosts my daughter’s confidence. Understands how my daughter learns and coaches her accordingly. Gives tailored resources that specifically tackles my son’s weakest areas. Adjusts the pace and level of work flexibly as required by my daughter. Passionate about her subject, this comes across and enthuses my son to learn. Knows the syllabus well & what examiners are looking for. Has a fun problem solving session with my son at the end of the lesson which he enjoys as he is quite competitive. Goes through the fundamentals of the subject with my son - for example in Physics she explains why & how something works the way it does. Ensures my daughter fully understands the core elements of topics. Teaches topics not yet covered in my daughter’s school. Recognises every progress my son makes no matter how small. Goes through past papers and helps with problem questions my son needs clarification on. For revision, the tutor goes through difficult past question papers with my daughter. Teaches the techniques to apply in pressurised situations. 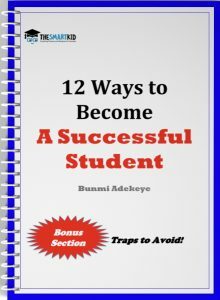 Goes through sample answers in greater detail and provides a step by step method on how to attain high marks. 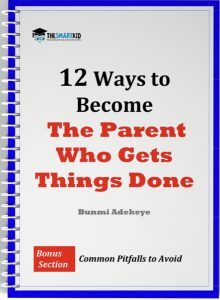 Works on time management so my child knows how long to spend on each question during examinations. Is employing a tutor always good news? I wish I could say YES however unfortunately, that is not always the case. The tutor we had did not have a set/planned out curriculum & preferred my child to bring topics she may struggle with. This did not work well because for most sessions she did not have a topic to bring to the tutor. My child was in a group setting; the tutor did not adjust lessons to each student’s needs but taught at the same level for all tutees. Lack of student-tutor engagement – not fun, fearful of tutor, not motivating, and possible dislike of the tutor. Teaching strictly to the textbook without providing background and/or further knowledge on the subject that could be applied in exams. Now you have it all summed up: the whys, hows and whats of extra tuition plus the benefits, good practices and not so good ones. Does Every Child Require Extra Tution? Whilst there are many advantages of employing a private tutor or tuition centre, there are instances where extra help is not necessary. One example would be a student who is very capable, hard-working, self-managing and who demonstrates this by getting top grades. Such a student would not necessarily require extra tuition. Should you have a child like this and he or she seems to have the capacity to take on a bigger challenge, you could employ or tutor to stretch them further. Alternatively, you could let your child use that spare capacity to develop non-academic skills through a range of extra-curricular activities. Before wrapping this up, I would like to share some soundbites from the remarkable GCSE Maths tutor that my nephew referred to in the previous blog. This young teenager had hated mathematics prior to being taught by Bola. However her touch made a difference and he testified that he now loves the subject. Bola lives and breathes mathematics. I have known her for so many years, too long to count without doing a complex sum. She has tutored so many pupils over the years and I’ve referred a number of children and adults who needed their maths skills sorted out to her, including my own son. An inherent belief that all children can make excellent progress irrespective of their ability. A deep knowledge of the main barriers to learning and having the methods of teaching to unblock the barriers. An initial focus on unblocking the main barriers they have in order to boost confidence that they can learn anything. An enjoyment of the subject and willingness to get them to enjoy it. Providing ongoing regular feedback to the parents who want it. In closing, remember you are not alone in this journey. We hold the details of some very capable tried and tested private tutors who have had great reviews in our database. Should you need a tutor for your son or daughter click below, tell us what you want and we should be able to help. 3 things I gained from smart kid network: Confidence - the constant encouragement and reassurance of my value from the smart kid gave me a major boost of confidence. It helped me realise how much of an asset I can be to a company which in turn gave me the confidence in interview situations. ...Interview technique... The smart kid taught me how to sell myself positively and assertively which also highlighted the difference between confidence and arrogance... Broader thinking... I have been prompted to think about things I would not have given enough thought without the help of the smart kid network... I would definitely recommend the smart kid because it helps people build essential attributes for success that the education system is currently failing to provide. Copyright © 2019 The Smart Kid. Powered by WordPress. Theme: Spacious by ThemeGrill. No spam and your privacy is guaranteed. You will become one of our VIPs; receive our exclusive VIP-only materials and be first in line for our weekly informative updates.